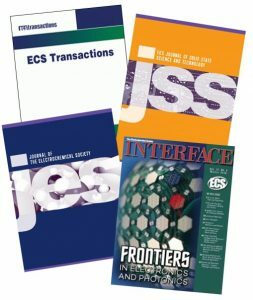 To usher in the new year, ECS is highlighting the articles from the Journal of The Electrochemical Society, the ECS Journal of Solid State Science and Technology, ECS Transactions, and Interface that received the most full-text downloads in 2018. 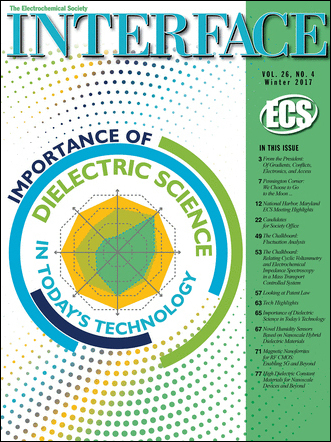 Please enjoy the articles below, and stay connected with ECS through 2019 for access to more innovative and influential research at the forefront of electrochemical and solid state science and technology. All of the articles in the following roundup are open access/free to read. Learn about ECS’s Free the Science initiative. The following are the 2019 updated deadlines and submission guidelines for section and student chapter news to be considered for Interface. Delegates from the 6th Annual India Section School held in December 2017. ECS sections serve an integral role within the Society. Many sections offer opportunities for members and student members to connect with their regional peers and host local symposia/meetings. Like our divisions, the sections help to serve the mission of ECS. 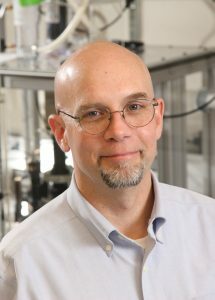 The Electrochemical Society has appointed Robert G. Kelly of the University of Virginia School of Engineering & Applied Science as the new editor of Interface, the Society’s quarterly magazine, for a four-year term. In publication since 1992, Interface serves as an authoritative yet accessible forum for the exchange of information relevant to the fields of electrochemical and solid state science and technology. 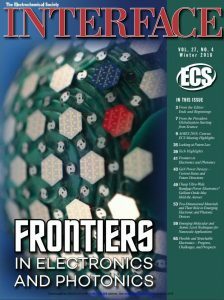 The four-color magazine publishes technical articles, special features, and news for and about ECS members. The publication is currently in its 27th volume year. ECS takes pride in the activities of its sections and student chapters. We are proud to feature the activities and accomplishment of both the ECS sections and student chapters. Is your section/chapter engaging in a recruitment event? 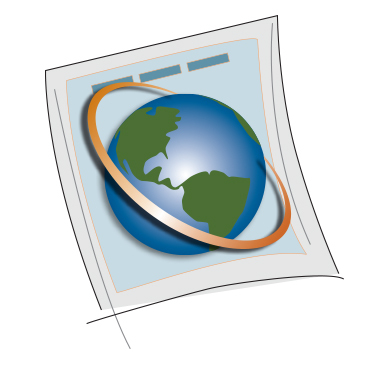 Are you planning a symposium or poster event? We know that many of our sections and chapters host meetings outside of the ECS biannual meetings; Interface is a great place to feature this type of event news! While we encourage your news update to Interface, we do need the submission to meet certain guidelines. Please review the Student News Submission Guidelines before submitting your update; these guidelines are applicable to both sections and student chapters. Please submit any student chapter or section news updates to Shannon.Reed@electrochem.org, director of membership services. The following article was originally published in the winter 2017 issue of Interface. The Corrosion Technology Laboratory at the NASA Kennedy Space Center is a network of capabilities—people, equipment, and facilities—that provide technical innovations and engineering services in all areas of corrosion for NASA and external customers. The Corrosion Technology Laboratory is part of the Applied Technology Division of NASA, and any project involving corrosion may utilize this fully staffed and equipped corrosion laboratory as a resource. This site provides fundamentals of corrosion and corrosion control information as well as resources for further information. Learn more. ECS looks to its future as a forum for research and a conduit for access and communication. Tenets of the scientific method are invariant, but practice of communication and access change. Change is driven by gradients. Without gradients, energy is minimized and the system dies, but if gradients are too steep, the system becomes unstable. History maps conflicts over energy and power. Early wars were over land for food energy. Distribution of natural resources and oil sustain conflicts for thermal energy. Gradients in energy distribution drive change and conflict. Going forward, access to critical materials and information, coupled with the skills and imagination to develop advanced technologies, will mitigate steep gradients in energy distribution. The content below was published in the winter 2017 edition of Interface. Each year ECS gives up to five Summer Fellowships to assist students in continuing their graduate work during the summer months in a field of interest to the Society. Congratulations to the four Summer Fellowship recipients for 2017. The Society thanks the Summer Fellowship Committee for their work in reviewing the applications and selecting four excellent recipients. imaging of samples bathed in electrolyte and therefore is well-suited for nanoscale ion transport studies. Read more.